Coming from the darker side of J.R.R. 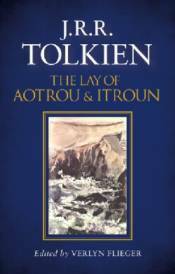 Tolkien's imagination, "The Lay of Aotrou and Itroun" is an important non Middle-earth work to set alongside his other retellings of existing myth and legend, The Legend of Sigurd and Gudr�n, The Fall of Arthur and The Story of Kullervo. The book is edited and introduced by Verlyn Flieger, and includes a new prefatory note on the text by Christopher Tolkien.